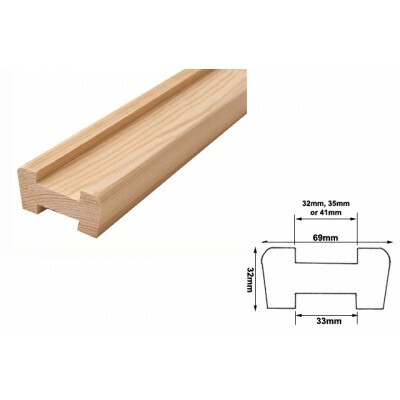 Staircase Baserail sections available in a choice of white primed, pine, US white oak, US white ash, sapele, southern yellow pine, or hemlock. 32mm, 35mm, 41mm top slot or "No Slot" available, depending on the size or type of spindles you use. 57mm x 69mm, produced in lengths of 1.2m, 1.8m, 2.4m, 3.0m, 3.6m or 4.2m, and can be trimmed to exact lengths as required. Please Note: When using wooden spindles, you will require infill strips, which can be purchased in this section.